The FBI had a human source in direct contact with Osama bin Laden in 1993 and discovered that he was eager to finance terror attacks on the United States, according to little-noticed testimony in a court case several years back. The testimony, just reported by the Washington Times, underlines how poorly we understand the degree to which the federal government was interacting with Osama bin Laden and monitoring the activities of a network that came to be widely known as Al Qaeda. The information, which emerged during an obscure employment dispute case filed by an agent, was provided by Edward J. Curran, who had been a top official in the Bureau’s Los Angeles office. “It was the only source I know in the bureau where we had a source right in al Qaeda, directly involved,” Curran told a nearly empty courtroom in 2010. The source was credible enough that the Bureau was able to use his information to prevent an attack on a Los Angeles Masonic temple at the time. Several former lawmakers involved with 9/11 reviews told the newspaper they were unaware of the FBI-Al Qaeda connection. “I think it raises a lot of questions about why that information didn’t become public and why the 9/11 Commission or the congressional intelligence committees weren’t told about it,” said former Rep. Peter Hoekstra (R-MI), who chaired the House Permanent Select Committee on Intelligence in the aftermath of the 9/11 report. The notion that what was happening in 1993 had little to do with the 2001 attacks, however, is questionable. It was in 1993 that plotters who had been trained in Al Qaeda camps in Afghanistan detonated a truck bomb beneath the North Tower of the World Trade Center in a plot that failed to bring the towers down. The alleged financier of that early attack, Khaled Sheikh Mohamed, is credited with coming up with the subsequent idea of crashing a plane into CIA headquarters and later conceptualizing the 9/11 attacks for Al Qaeda. Furthermore, an FBI informant, Emad Salem, was deeply involved with the 1993 plotters while apprising his Bureau handlers. According to Curran’s testimony, the agent developed a source who was connected to Omar Abdel-Rahman, the so-called “Blind Sheik” credited with the 1993 Trade Center bombing. Even more significantly, the source went overseas and personally met with bin Laden. He was described as “very in tight, close,” to bin Laden’s leadership team. 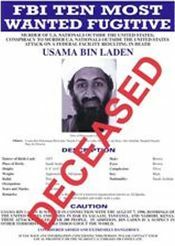 While with bin Laden, the source learned that the Saudi had picked out a target for a bombing in the LA area—which is believed to have been a Masonic lodge. The FBI supervisor said the source also knew all about California-based cells. The general thrust of Curran’s testimony was borne out by documents. In a particularly revealing moment, Curran explained how the Al Qaeda source was pressured to cooperate, including by working with the source’s wife from an arranged marriage to first deport the source and then let him come back in return for betraying his comrades. Of course, as Zelikow’s analysis underlines, words like “relevant” and “pertinent” are highly subjective and can be used to exclude crucial evidence that would fundamentally alter our understanding of major events. In fact, the FBI clearly withheld the information about its Al Qaeda asset. Stephen Kohn, attorney for the FBI agent who filed the discrimination suit, Bassem Yousef, and who has represented numerous important FBI whistleblowers, said the information might never have come out through normal channels. Even his client did not reveal the Al Qaeda angle because it was classified—it only emerged in the legal proceedings. “I was shocked when it came out, and I was frustrated because the FBI had censored that information clearly to hide it from the public,” said Kohn, who has represented some of the FBI’s most famous whistleblowers over the years. What Kohn seems to have missed—or perhaps could not say as it is not in his narrow purview as an attorney representing clients, is that it is hardly likely that the FBI withheld information about a source in Osama bin Laden’s inner circle and had to keep its successes quiet just to best one agent in a job dispute. Indeed, had the FBI revealed what has only emerged now, everything would be different. For one thing, the 9/11 commission would not have been able to pooh-pooh notions that the 2001 attack had domestic roots going back years. This is hardly the first instance in which the FBI has been involved in controversial or unexplained interactions with terrorists, alleged terrorists, or potential witnesses—and failed to properly brief elected officials with purported responsibility for providing oversight of security matters on behalf of the public. In addition to the harassment and shooting of potential Boston bombing case witnesses, there is the suppression of information about an FBI investigation into Saudi-9/11 ties out of Florida, and of information concerning the targeting of Occupy movement leaders by snipers. To be sure, though, it is difficult in this matter, as in others involving the Bureau, to sort out willfulness from incompetence. Bassem’s discrimination case stemmed from the FBI blocking Bassem from his job as a top anti-terrorism officer because superiors worried that he was a Muslim of dubious loyalties. In fact, Bassem was and is Christian. If the FBI truly did not know that, then it deserves a whole other level of scrutiny. There are 21 comments Our Comment Policy: Keep it civilized, keep it relevant, keep it clear, keep it short. Please do not post links or promotional material. We reserve the right to edit and to delete comments where necessary.